kt literary » Blog Archive » Glowing reviews from Publishers Weekly and Booklist! Glowing reviews from Publishers Weekly and Booklist! 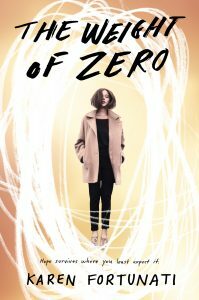 THE WEIGHT OF ZERO by Karen Fortunati releases on October 11, 2016.